It's a super quick one from me tonight, especially given the fact it was damn near impossible for me to string more than a few words together today (that actually made any sense anyway), let alone sit here and try to forge any connection between my brain and my keyboard. I really don't have much more than barely intelligible nothingness on offer sorry. Sleep is very much needed in our house right now following a night of next to no shut eye - courtesy of one of our precious boys being rushed to hospital last night for an emergency procedure. The good news is he is doing OK today and he will very soon bounce back to his normal chirpy self. In the meantime, bed is calling... for everyone in this house. I look forward to doing some much anticipated blog reading over this weekend and catching up with what everyone has been up to... but until then - I bid you goodnight! 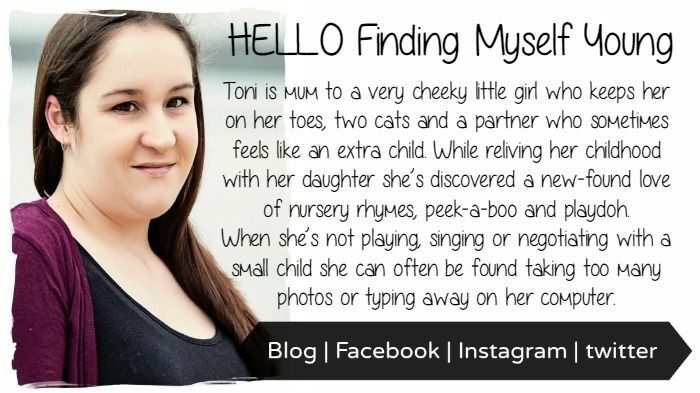 This week's guest hostie is the lovely, down to earth mum and blogger Toni from Finding Myself Young. Toni shares her life stories in such a beautifully and honest and refreshing way so be sure to head on over and say hello to her. To play along simply link up your favourite post from the past week and then if you get a chance, pop around and say hello to some of the other lovely linkers. The Weekend Rewind blog hopping party starts every Friday night at 8pm and links will close on Sunday night at midnight. Link up here or over on Zoe's blog (A Quirky Bird) (Bron Maxabella is on a WR vacay). It does not matter where you link as your link will show up in all places.